We care. At P&N, every employee is an owner of our company and we have no owners who aren’t employees. We work with our clients and we live in the communities we serve. We value relationships and work to make them strong, sincere, and positive. Sharing what we know results in good collaboration. Good collaboration helps everybody. If our expertise can help you, let us know! We look for long-term relationships with our clients. Long-standing relationships help us understand their needs, systems, and communities. We develop new skills and services in anticipation of changing needs, as times change. In every area of our services, we’ll help you see the big picture, plan ahead, and find creative, long-term solutions. We’re engineers (civil, environmental, geotechnical, structural), surveyors, scientists, and GIS professionals. We help our clients see farther, because we care about our communities and our environment and about you. We’re in this together. We think it is important to do what’s best in the long-run and we think it pays off to plan ahead. At P&N, our work is in the details. We take the time to get it right the first time – alerting you to stumbling blocks that could derail your project. We believe roads, buildings, and systems work the best and last the longest when we see the big picture and have the same person oversee a project from start to finish. We keep our promises and our budgets – a good relationship with you is worth it. That’s been our foundation for over 45 years. We’re honored to walk beside you and thrilled when you give us an opportunity to make a positive difference in your world. We have found Prein&Newhof to be attentive to our concerns and needs, willing to work with the public without compromising the integrity of the project, and swift to address any problems or issues encountered in the field. I’ve been working with P&N for more than 20 years now and I have been impressed that they are always willing to do what needs to be done—they are right there in the trenches with us. They are very professional. They do everything by the book, but they listen to suggestions and are able to see the practical view point. Even if we have differing view points, we always come to a common solution and have never argued about anything. P&N has a great reputation with municipalities and that’s huge for us, plus they work in the private sector. To be able to do both of those is quite special. The level of accuracy and the details on P&N’s plans are excellent and the quality of people we work with are top-notch. I enjoy working with all of the people at P&N. They provide good quality work and go out of their way to make sure we’re satisfied. They also have a good diversity of staff to draw upon. When the engineer I’m working with doesn’t have the answers, they’ll bring in someone who does. P&N’s commitment to us adds great value to our infrastructure engineering and construction projects. They provide a high level of technical expertise to each and every unique assignment. Their ability to understand our challenges and interact well with airport staff compounds the benefit of their institutional knowledge. Prein and Newhof is an outstanding firm – professional, delivers on time and on budget, creative, flexible, and sensitive to the environment. Cherry Capital Airport is thrilled to have Prein&Newhof as part of our team. We have been working with P&N for more than 30 years; we know what to expect. 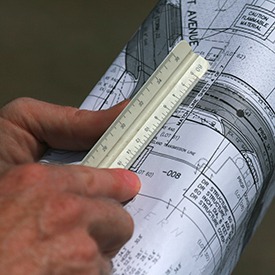 Whether we need structural, civil, or soil boring services, P&N has it all. Plus, I like all the people I work with there. Your dedication and work ethic seem to exemplify your belief that engineers serve the public. You have rushed out to provide assistance whenever your expertise is needed. You are a valuable asset to our team at the City of Walker. Prein&Newhof was very helpful with our Michigan Natural Resources Trust Fund Grant application for a regional bike path. They provided clear and concise information on a timely basis, which was essential for grant approval. Their staff has tremendous knowledge and experience that makes Prein&Newhof a one-stop shop for municipal engineering services. I appreciate the P&N people; they’re professional, personable, clear and to the point. They double– and triple–check to make sure we get the end product we’re looking for. You ask for it, you get it. Over the last 10 years, on no less than 30 different projects, the P&N team has managed to add a lot of value to our projects with their customer–oriented attitude and multi–disciplined team approach. It’s been very helpful to have one source to go to for our wide variety of civil engineering needs. P&N is always there to help us explore a concept or get a drawing done so we can close a deal. Don Popma General Manager BioTech Agronomics Inc.
P&N has been instrumental in designing, building, and maintaining a GIS system for our township. Their GIS team has always been quick to respond to both technical difficulties and new data development. We credit the expertise of the P&N staff with building the vibrant geographic information system used every day by our staff and public. At P&N, we believe that better planning means better projects, and better projects mean a better, stronger, more efficient infrastructure. In every area, we’ll help you see the big picture, plan ahead, and find creative, long-term solutions. PreinNewhof works to serve our clients, educate our communities, and offer our employees challenging careers – that together we may build strong, sustainable communities and improve the quality of life throughout Michigan.